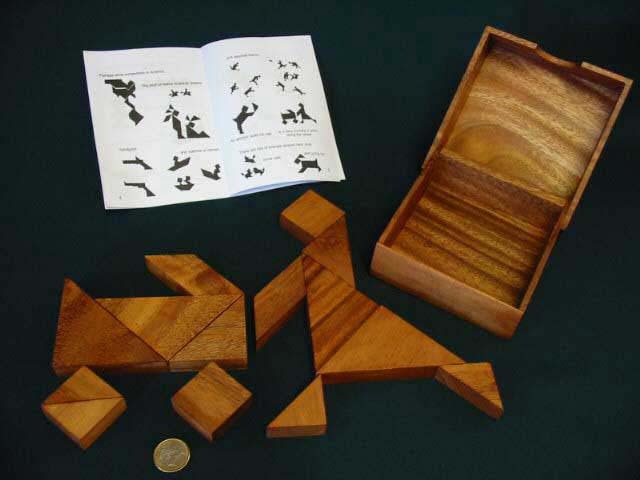 2 sets of Tangram in one box together with our excellent booklet called ‘Tangram Tales’ that tells a story illustrated with over 80 different Tangram pictures that you can attempt for yourself. Fortunately the solutions ( if you need them! ) are given in the second half. The World’s most amazing dissection puzzle game that is popular with both adults and children. Don’t think of this as a jigsaw puzzle because an almost endless number of interesting figures can be created from the 7 tans. The only limiting factor is the player’s imagination. 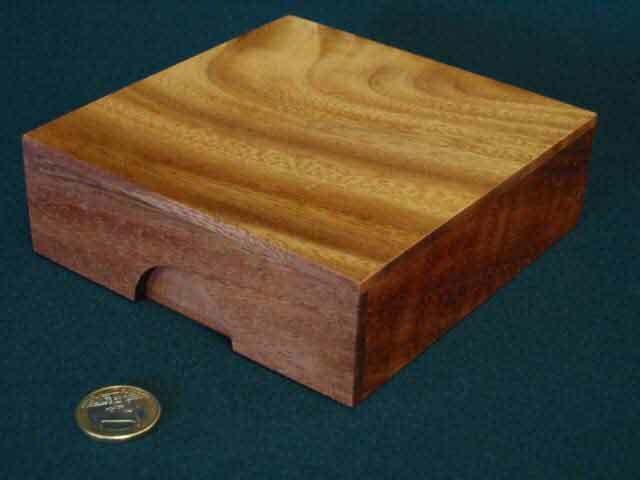 Comes in a hardwood box with a folding lid. Dimensions 130 x 135 x 43 mm.